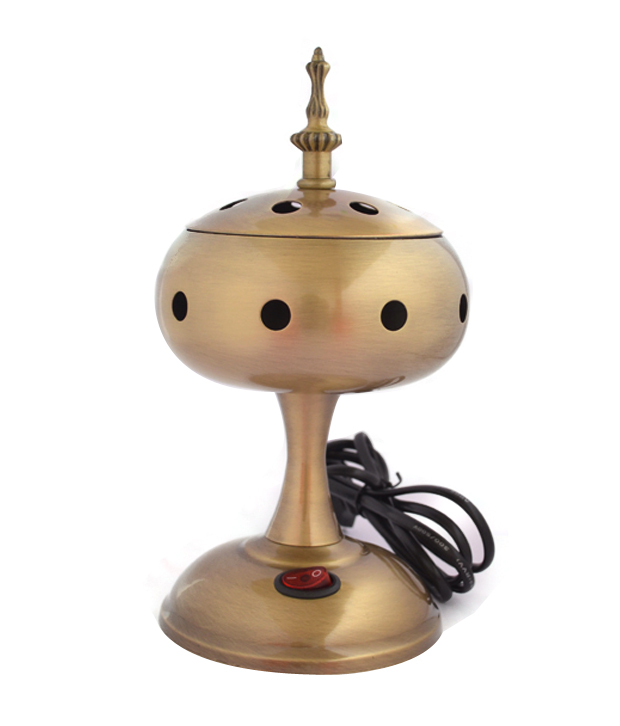 This electrical incense burner will make a beautiful addition to your home or altar. The lid top is designed in the shape of stupa. Circular cut outs allow air in and smoke and fragrance out. The lid can be removed for easy cleaning. Directions This burner is intended to be used with your cone, resin, granular or powder incense,just plug it in and put your charcoal tablet andthen sprinkle your resin, wood chips havan samagri powder,guggal,lobanor reiki powder sparingly on the charcoal.sit back and enjoy the aura of optimism,purity and exotic fragrance around you. Product colour may slightly vary due to photographic lighting sources or your Screen settings.